Kate has recently moved back to the area, having spent two years in London working for British Airways as a Flight Attendant. Kate grew up in Marske and is enjoying being back home spending time with her family. Kate joined Bede Financial Group in September 2013 and today is advising on all aspects of general and motor insurance for Bede Insure. 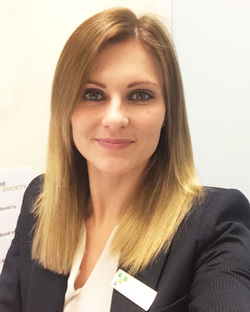 Kate is also involved in the running of the Yorkshire Building Society. Kate enjoys travelling, socialising with friends and walks along the beach with her dog.